Raccoons have reputation as trouble makers. Their tendency to go through household garbage, along with the distinctive dark fur that surrounds their eyes, has earned them the affectionate nickname of "Trash Pandas." Love raccoons or hate them, it is hard to deny that they are adorable. This raccoon handmade tile is also available in 2"x2" size. 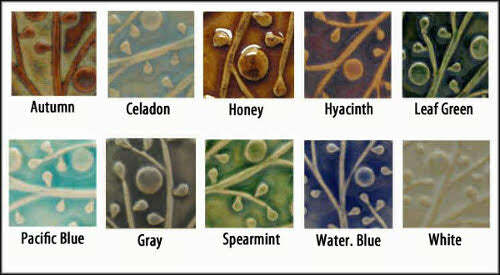 Choose from ten different glazes, all food safe. The raccoon handmade tile can be hung on the wall- no framing required; Also appropriate for permanent installation. Every tile is made to order. Raised design was originally sculpted by hand, and is reproduced individually by hand using the press mold technique. Inspired by nature and made of a durable ceramic material which is fired once to 1800F, then glazed and fired to 2200F.